Welcome to all things Simon Chate! So, who is this Simon Chate bloke, anyway??? Simon Chate is a creative professional living with his partner, Shirley, and their two children, Jessica and Ewan, in the Northern Rivers area of N.S.W., Australia. Having left the Northern Suburbs of Sydney in the late 80’s, Simon travelled overseas and spent six years living in Glastonbury, Somerset where he combined his private teaching practice with hands-on craftsmanship, as a maker of Hammered Dulcimers with renowned dulcimer maker, Roger Frood. 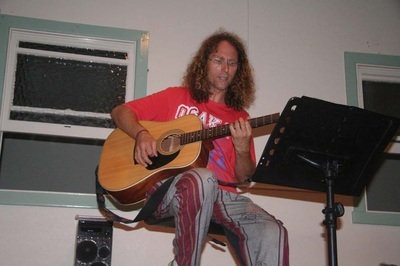 Upon his return to Australia, Simon moved to the Northern Rivers and studied a Bachelor of Contemporary Music majoring in voice at Southern Cross University from 1999 – 2003, and then went on in 2004/2005 to do a Graduate Diploma of Education. For over nine years, he sang tenor with celebrated SCU vocal group, Isabella A Cappella, and had extensive performance experience with the group both nationally and on the international stage. 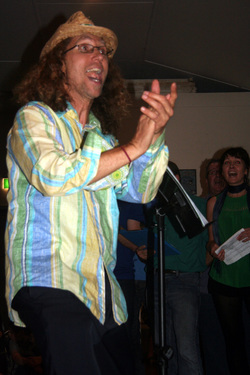 Upon the completion of his university studies, Simon began teaching Music for years 7 – 12 at Alstonville High School, where he remains to this day. As a passionate musician, Simon enjoys working in both the school system and the community and on top of his school work, has been developing the many facets of Simon Chate Creative Enterprises. Simon has played the guitar since 1981, and has taught it since 1982. He also had four years of singing lessons in Sydney during the 1980's with Young Opera teacher, Alan Hendrie, and he has taught singing since 1995. Simon also discovered a niche market of 'terrified' wannabe singers and created ‘Singing for Beginners and the Terrified’ where he was able to take frightened singers through a gentle process of opening up and trusting once again that it was safe to sing. He has developed a comprehensive method and portfolio of teaching resources from his many years teaching. Having taught Music to HSC level for over ten years, Simon also offers Music Theory tuition. Over the years, Simon has taught hundreds of students and continues to devote a significant portion of his time to teaching his day to day students. 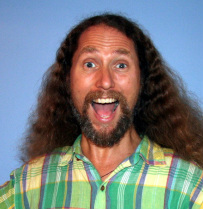 Simon is passionate about harmony and has sung in and directed many choirs over the years. 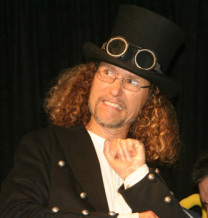 He is currently the musical director of two established choirs – the renowned Gold Coast comedic group, Men Wot Sing, and Alstonville’s own Awesome Voices – which meets every school Tuesday in the function room adjacent to St Bartholomew's Anglican Church, Alstonville. As well as an established singer / songwriter, Simon is also a multi-instrumentalist - he sings and plays acoustic and electric guitar, bass, mandolin, bouzouki, flute, tin whistle, recorder, didgeridoo, piano and all sorts of percussion - and has recently released worldwide his first solo album, Reality Changes - available in all major online outlets. Simon performs frequently and is available for session recording work. In early 2012, Simon conceived of Rous Unplugged and, along with his friend, Mim O’Grady, brought it into being. 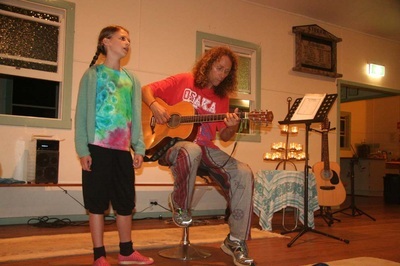 Rous Unplugged is a monthly event, held in Rous Mill Hall, Rous Mill, NSW on the last Friday of every month, where performers come and perform to a very appreciative audience. please contact Simon on 0401 022 927 or email him on simonchate@gmail.com . On Friday, December 01, Simon launched his debut album, Reality Changes at the beautiful Rous Mill Hall, in the Northern Rivers of NSW. It was an awesome night with an audience of around 100 people. 7 songs from the album. The night was a tremendous success. There were smiles all round, but none were wider than Simon's! Simon Chate, guitar & vocals. Nick Weeks, percussion & vocals. Justin Bannister, Keys & vocals. CLICK HERE TO SEE PHOTOS OF THE LAUNCH! Simon's first album, Reality Changes, is now available worldwide. Since May, 2010, Simon has been working on his first solo album, Reality Changes. Reality Changes features 13 original tracks and is currently available worldwide in all major online stores. As well as Simon's guitar, voice, bass, mandolin, bouzouki, whistle, etc, the album features some awesome players including Rick Fenn (10CC), Al Park (ex Cliff Richard), Danny Muszynski (Glass Towers), and Greg Sheehan (percussionist extraordinaire). or call/text him on 0401022927. The album is AUD$20 plus postage & handling. "Having invested so many years encouraging others through hosting the wonderful Rous Unplugged evenings, it’s been a cheerful delight to finally hear Simon Chate‘s debut album ‘Reality Changes’. While listening, I’ve found myself immersed in a similarly inviting and generous place. It’s a mystical, mythical journey, many of the songs written years apart, telling tales of searching, stewardship of Earth, community, children, family, fun and folklore. The album has a rich warm sound, a credit to Simon’s production sensibilities, Brad Wann’s sound engineering and the calibre of musicianship throughout. ‘Reality Changes’ is a youthful, playful collection of Celtic infused folk rock. Get along to the album launch celebration this Friday 1st December 2017, Rous Mill Hall, starts 7pm." Simon, your CD is magnificent and masterful. Congratulations! You should be so, so proud! Your voice and music transcend time and space and bring to a place in my heart and mind that only YOU do !! I asked my daughter Jessica and her friend Annabelle to create a video clip for my instrumental, Hope, from my new album, Reality Changes. Simon Chate is a man of many hats! Men Wot Sing is a Coolangatta-based Men's comedic choir and has been active for well over ten years and has brought buckets of laughter to audiences around the country. Building A, Southern Cross University, Coolangatta, Qld., 7.00pm - 9.30pm, E.S.T. Blokey singers wanting to try out are always welcome! Give it a try - you'll love it! Simon and his friend, Mim O'Grady, came up with the concept of a fully unplugged event in the Northern Rivers where local performers of all types could come and hone the art of performing. Neither of them had any idea that Rous Unplugged would be so successful. 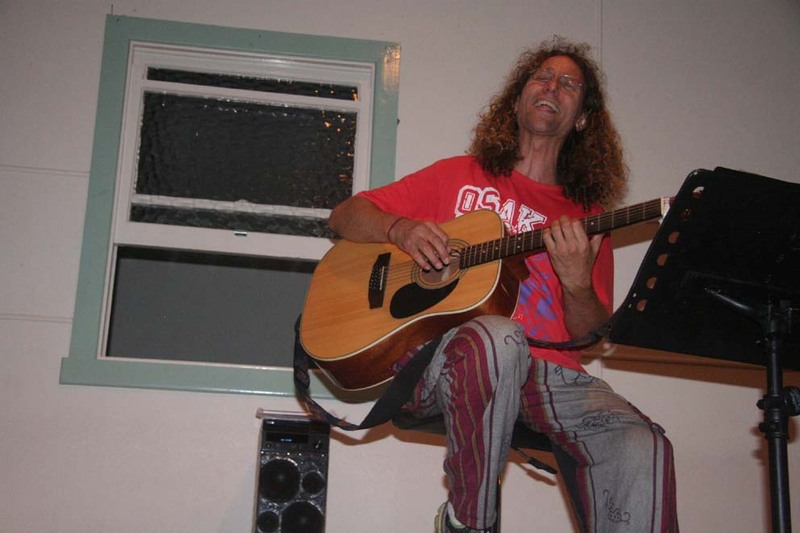 Rous Unplugged is a wonderful, community event, held on the last Friday of the month at Rous Mill Hall, Rous Mill, NSW and if you can find a better night's entertainment anywhere else for $5, you can have your money back! which came to life in July, 2011. The group rehearses at 7.00pm on school term Tuesday nights in Happy Mountain, Alstonville Plaza and performs a wide ranging repertoire - from world music, Gospel, folk and contemporary. New singers are always welcome - no experience necessary. 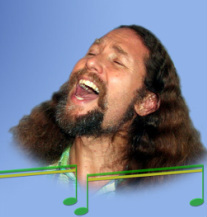 The Singing Voice is an educational website that Simon originally created as part of a university assignment, back in 2003. It was designed to provide an educational platform with which to bring as much free information as possible about the voice and how it works to the general public. It has been further developed over time and now offers detailed information about the mechanics of the voice, singing techniques, blogs, exercises, warm-ups, quizzes, FAQ's, etc. 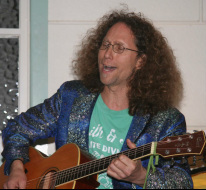 Simon also offers his services as a guitar and vocal teacher through The Singing Voice website.